YOUR TOP CHOICE FOR ROOFING, SIDING, GUTTERS & WINDOWS! 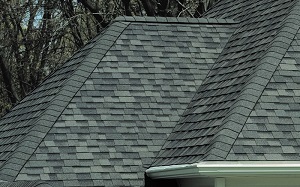 Titan is your trusted Cincinnati Roofing Contractor. 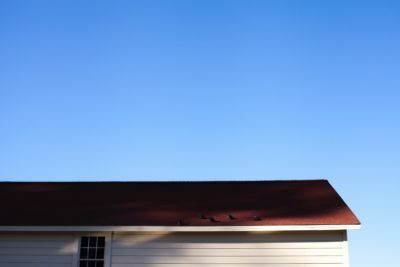 Whether you need roofing, siding, gutters or windows we can assist you. We work with home owners, businesses and insurance companies to provide the highest level of service! The purpose of a roof is to protect all things valuable and invaluable. We can help you update, repair or install a new roof on your home or commercial property for that piece of mind. Whether it’s a repair or complete transformation you’re looking for, make a statement with your siding. 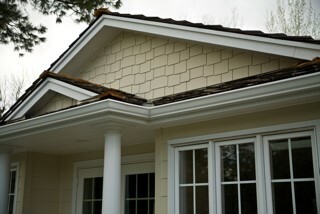 We offer a variety of siding materials to accommodate your needs. 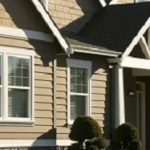 We offer custom gutter solutions in over 40 colors that we build on site. 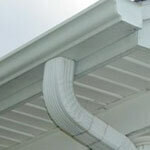 This ensures that you get quality gutters that are just right for your home or business. Windows can be a standout feature of your home or business; they also serve as protectants against the outside elements. 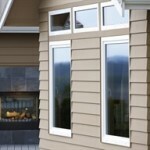 We offer premium replacement windows with a variety of choices. 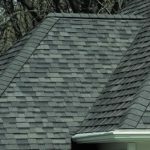 Titan Siding and Roofing is an experienced team of Cincinnati Roofing professionals, ready to help you with your next project. We specialize in exterior renovation projects. Whether you are an individual homeowner or company, Titan Siding and Roofing can help. They knew what they were doing and worked together as a team; really accomplished what I expected. Matthew Brown put the previous roof on when his father was in the roofing business. His family lived next door when Matthew was a youngster. I enjoyed working with Brian, who was very professional and very friendly. The crew was helpful and organized and cleaned up quickly once the work was completed. They came when they were supposed to cleaned up after they were through with the siding. Good deal on pricing owner came by to make sure we were satisfied when the work was completed. As a first timer, Titan called me less than 10 minutes from my initial inquiry. Had an appt scheduled for the next Sat am to look at the roof. Matthew Brown was prompt. His info packet had everything, down to the company's insurance carrier. The process worked exactly as he said. We were put on the schedule, and a quick schedule at that. There was a slight delay due to a prior site's requirements, and then weather. Great experience. Roof was leaking and they got me in the schedule quick. The estimate is exactly what I paid and it was lower than the others I got but Titan did more work in there estimate. Didn’t pay till it was done and Matthew was great through out the process w/ texts and pictures to keep me up to date. They had it done in one day it was fantastic and looks great! My wife and I had signed a contract with another company the end of August 2018, they required half down. If this sound familiar you know the company then. We were told 6 to 8 weeks..... to make a long story short after 22 weeks and still no roof I canceled they contract and received a refund. I contacted Titan Roofing the early January 2019, they call right back and set appointment. Gave us the proposal and decided to hire them, signed a contract a week later. The end of February we received an email with the date and time of the installation. Having a financing option that suits your life is important to maintain financial stability and invest in your home. 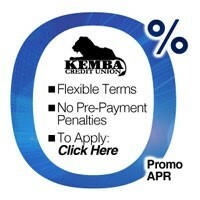 We work directly with Kemba Financing to provide financing options. Kemba provides: an introductory period with no interest*, no back interest charges and a low rate after introductory period*. Apply here directly online to receive approval now!